Some reports say that a mob of 150 students smashed the front gate and entered the compound of VC’s residence. New Delhi: Jawaharlal Nehru University (JNU) students protesting against the new admission rules on Monday, reportedly, barged into the vice-chancellor’s residence on campus while his wife was alone in the house and ‘confined her’. 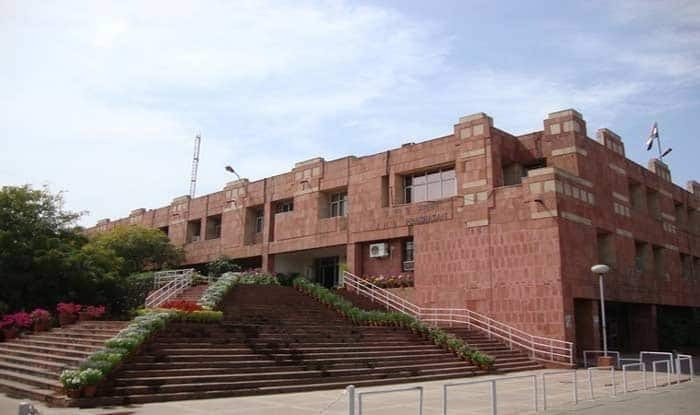 The hunger strike called by the JNUSU (Jawaharlal Nehru University Students’ Union) against the university’s new admission policy entered the seventh day on Sunday- with several more joining in after 11 students fell ill.